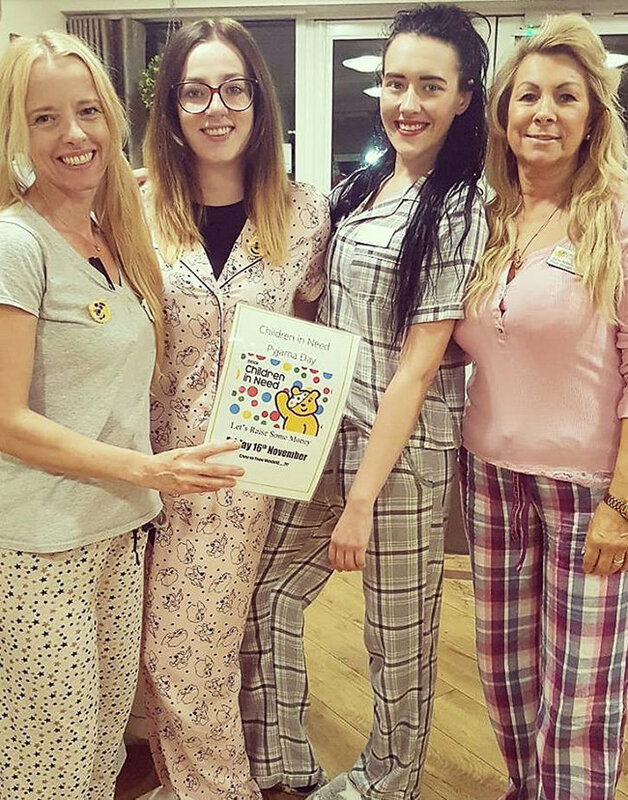 Windmill House residential care home in Wymondham had a fun packed day supporting BBC Children In Need by ditching normal work wear and sporting pyjamas for the day. Everyone made the effort to join in and a great day was had by all. The day time event was topped by a wonderful disco which turned into a great pyjama party. So many residents, staff and relatives joined in with singing and dancing. 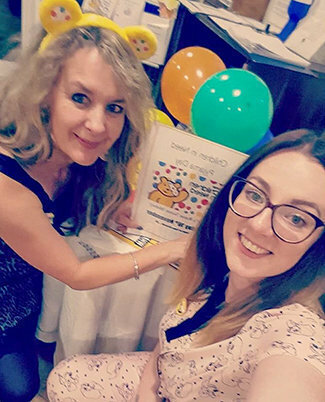 Activity Coordinator at Windmill House care home in Norfolk, Fran Annis, commented that ‘it was so lovely to see everyone joining in and having such a fun time’. 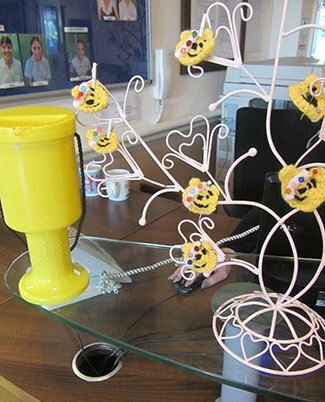 Windmill House Care Team Manager, Sue Mitchell, provided delicious homemade Pudsey Bear cookies and knitted Pudsey Bear badges to help raise money and a collection for Children In Need is still in progress. The evening’s Quiz and Chips event was organised by Windmill House’s Administrator, Carlie Phillips. Relatives, care home staff and residents all joined in making several different teams battling five different question topics. 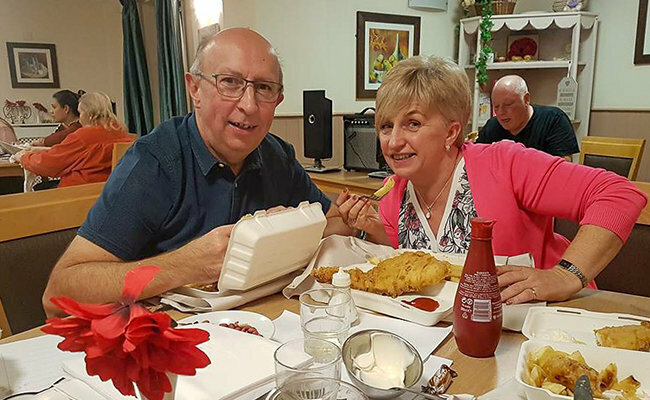 At half time everyone tucked into fish and chips from the local fish and chip shop – what a delicious treat! 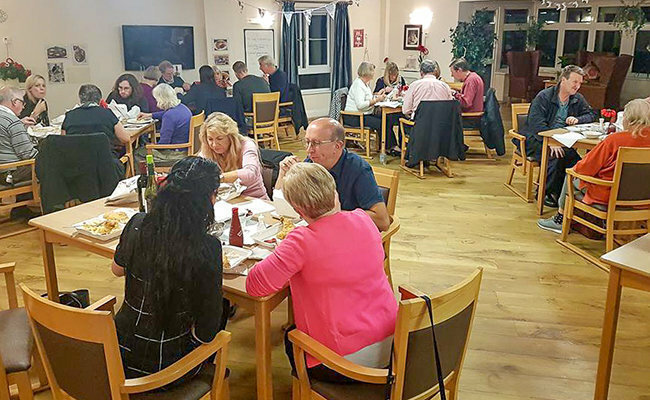 Team ‘Baffled Bees’ won the quiz this time around – and everyone is looking forward to the next event at the Wymondham care home. With the help of management and the professional care team, Runwood Homes' Activity Coordinator of the Year 2018, Fran Annis, continuously arranges interactive and entertaining activities for the lovely residents of Windmill House residential care home in Wymondham, Norfolk, which cares for older people, including those who live with dementia. Ensuring our residents health and wellbeing is at the forefront of our care mission. What's more, friends and family are always welcome to be part of the Windmill House family! For more information about Windmill House care home call 01953 607651, email windmill.house@runwoodhomes.co.uk or click here to visit the Windmill House web page. All the girls! CTM, Alison, Administrator, Carlie, Deputy Manager ,Kerri-Ann and Home Manager, Julie Aldred. 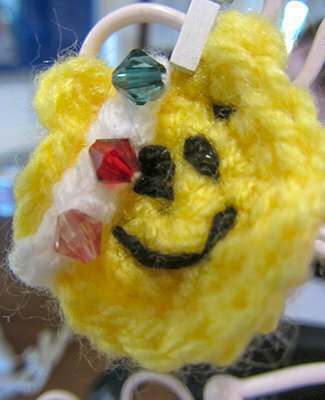 Pudsey Bear Badges made by CTM, Sue Mitchell. 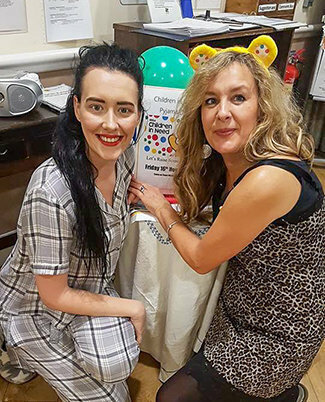 Pyjama day - Admin Carlie Phillips and Activity Coordinator, Fran Annis & Deputy Manager, Kerri -Ann, supporting BBC Children In need. Relatives of a Windmil House resident enjoying the evening of entertainment, Chris and Jenny Furness. 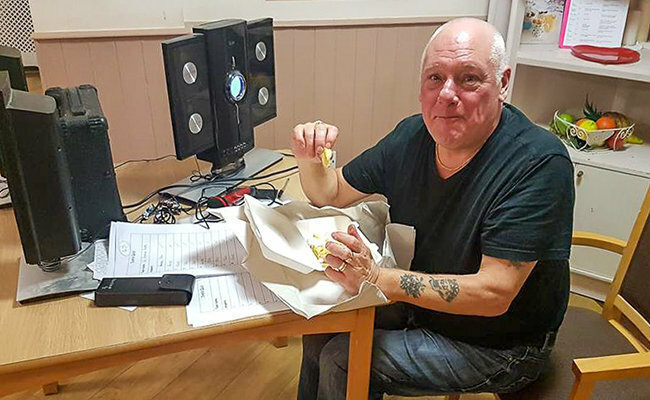 Quiz and Chip event at Windmill House care home in Wymondham, Norfolk. Quiz Master, Ivan Noble - Well earned fish and chips.